Clothing racks bursting with sweaters, tunics, pants and fur coats fill the spare bedroom in Jillian Schwabe’s Stamford apartment. Her living room sometimes doubles as a catwalk, where clients model fashions from the Greenwich native’s newly launched brand Mon Ami. The moniker translates to “my friend,” which Schwabe, who worked in Paris’ fashion industry for several years, believes sums up her new business’ mission. 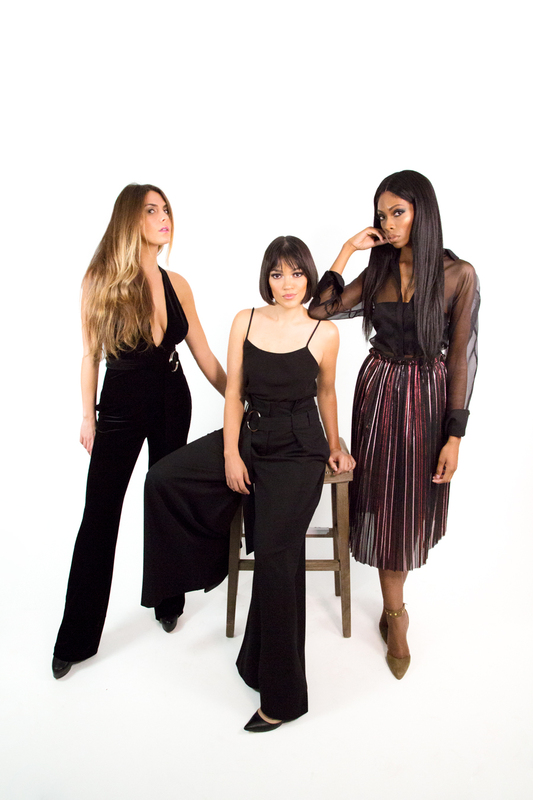 A few weeks ago, Schwabe and her business partner, Marsin Mogielski, debuted their online-based retail brand with a fashion show at the Hyatt Regency Greenwich featuring a range of local women. While growing up in Greenwich, Schwabe long aspired to make it big in fashion. She acquired an interest in both the business and fashion aspects of the cut-throat industry. “I balance business and creativity,” she said. In 2014, Schwabe followed her fashion ambitions to Paris, where she ran showrooms for New York-based companies. She recounts her work there fondly and jokes about friends calling her the “dream killer,” a nickname she earned for pointing out flaws in their business plans to launch fashion brands. According to Schwabe, the series of terrorist attacks during her tenure in France, including the November 2015 shootings and bomb blasts that killed and injured hundreds, hurt the capital city’s fashion industry. With regret, Schwabe returned to the United States earlier this year and found a job working in retail on Greenwich Avenue. She used the opportunity to expand her understanding of the market for a variety of fashions and, by the end of the summer, she received her first investment to begin Mon Ami. Around the same time, Mogielski, a fashion photographer, videographer and creative director at Social Life Magazine joined her as Mon Ami’s creative director. His work is seen on Mon Ami’s website with all the brand’s product shots. Greenwich native Jessica Rosa, who met Schwabe through family connections, feared participating in Mon Ami’s fashion show because of her curvy body shape, but said Schwabe knew just how to style her. Representing many styles and forms is an emphasis of Mon Ami, Schwabe said, and she plans on continuing to feature models of all sizes. “I wanted to break barriers by bringing in a variety of models,” she said. Eventually, their brand may include clothes for children and men, Mogielski added. For now, the pair plans to keep the bulk of their business online since “that’s how our generation shops,” Scwhabe said, but she will continue to style clients in person by appointment and hopes to schedule some pop-ups.